Wishing you & your families a wonderful Christmas Holidays! This will be our last party this year, hope to see you all next year! Gosia loves sailing, travelling, gardening, sewing and all kinds of DIY, creative things. On her blog, she shares simple, healthy recipes for kids presented in a funny way to encourage them to discover veggies and fruits in a pleasant and tasteful way. Even picky eaters will love it! You can also find there different activities for kids, crafts and free printable coloring pages. Kallee lives in East Tennessee with her husband and 4 great kids. She loves to read, play the piano, cook, craft and create. On her blog she enjoys sharing recipes she has tried, household tips, decorating, DIY, fun things to do with the kids, and the always fun reviews and giveaways. Miranda is a stationary designer who creates and sells her own line of stationary goods at PaperLark Studio. Outside of her design studio, Miranda is an avid crafter and scrapbooker who shares her latest projects at Mr. and Mrs. Winsletta. She's married to her high school sweetheart and lives with two of the most spoiled fur babies on earth. 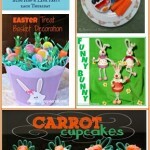 The featured Blogger from last week's Instagram Blog Hop is Carrie from Curly Crafty Mom from . Congratulations Carrie!!! We did a random draw, so everyone had the same chances. Please show Carrie some love and follow her on Instagram! 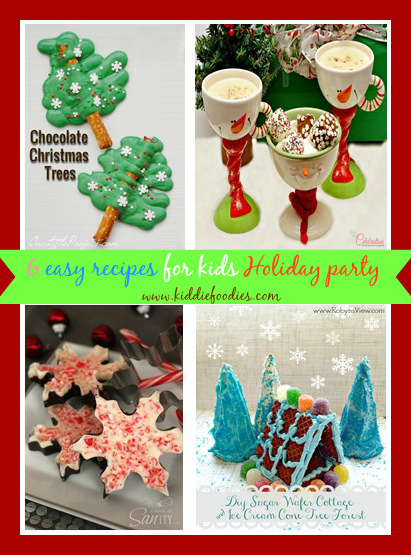 I loved all the Christmas recipes that you have linked-up last time! See my featured projects. You may also visit Kallee and Miranda to see their favorites. If you are interested in co-hosting the Foodies & Crafties Soirée in January 2014, please fill this form - it is short and it will help to plan everything. Link your Sverve account for today's blog hop. All participants must follow the host and co-hosts on the social media from the blog hop, so please follow us on Sverve. We will follow you back! If you are new to Sverve, check out this article to find out more and discover some tips on how to earn money with them.